From close-set family dramas to burgeoning blockbusters, Asian films were as strong as ever this year. Here are my picks for the top ten Asian Pacific American films that played in Seattle this year. 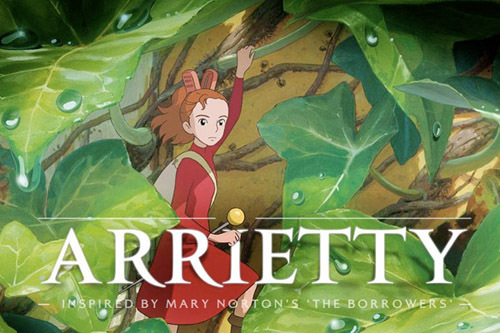 The latest from Japan’s Studio Ghibli to hit American shores tells the story of a tiny teenage girl, the sick young boy who discovers her, and their struggles to maintain their friendship against an adult world gone haywire. Bold, inventive, funny, touching, and everything we’ve come to expect from Ghibli. Japanese Americans wrongfully interned in the Manzanar camp during World War II often skipped out at night under the searchlights, but snuck back to their barracks come dawn. Their secret? Fishing. 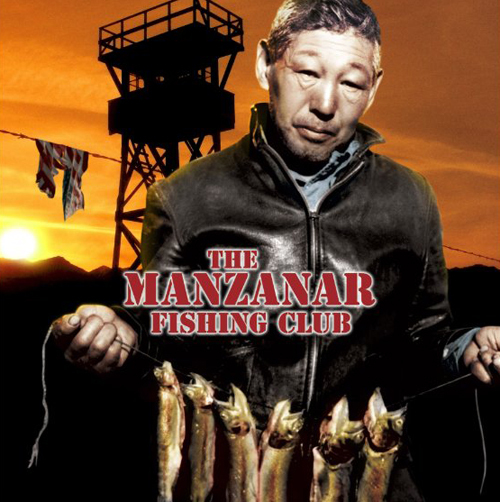 Shiozaki’s documentary retraces one of the hugest injustices in modern American history, and goes to show how liberating a simple, quiet pastime can become. Andy Lau plays the globetrotting son of a prominent Hong Kong family. Deanie Ip plays the aging domestic, finally too old to work, whom Lau must look after. It sounds simple enough in sentences but director Hui gives us a long, deep look at both souls and at how they still struggle to connect after decades in the same household. Yes, Jiro dreams of sushi. But given that he’s made sushi his life’s work, that’s only fair. 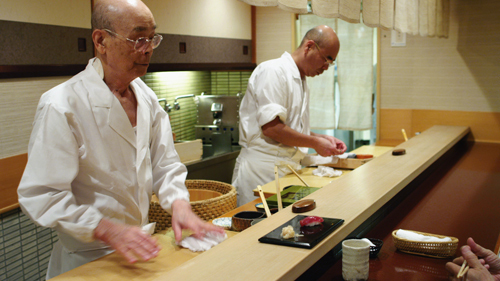 You don’t have to be a foodie to enjoy this shot-in-Japan documentary’s lush look at Jiro Ono’s cooking. The lessons about life and work will stick to you too. 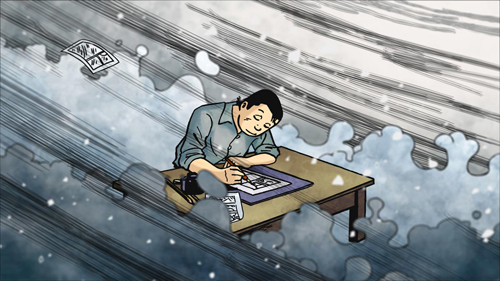 For his first animated film, Singapore’s Eric Khoo draws on the life and work of Yoshihiro Tatsumi, the person who taught Japan that comics could be for adults. Not in a pornographic sense, but in a mature, reasoned, sense acknowledging grown-up experiences. Tatsumi’s stories shift between the enigmatic, the spooky, and the sad, as he guides us through the story of his life, and imagination, in picture. Aung San Suu Kyi overcame oppression, long-term imprisonment, and the assassination of her own father to lead the country of Burma. 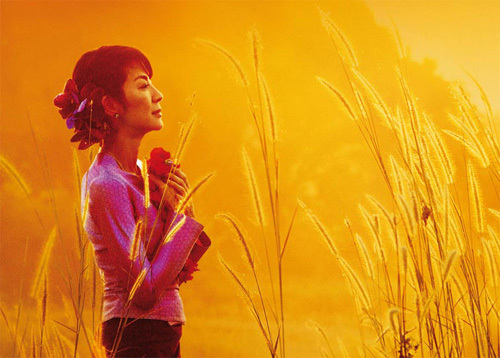 Michelle Yeoh seems to live inside the role, but the script doesn’t neglect the love story between Suu Kyi and her husband, the late Michael Aris. A gorgeously-shot exercise in love, loss, and the painful inward transitions from adolescence to adulthood. Director Trần always gives us amazing looking cinema, and here he’s found a story worth chewing over as well. Like one or two other films on this list, “This Is Not A Film” will leave you grateful that you live in America. For all of our nation’s (copious) flaws, we would probably not lock up a director for allegedly criticizing the government. 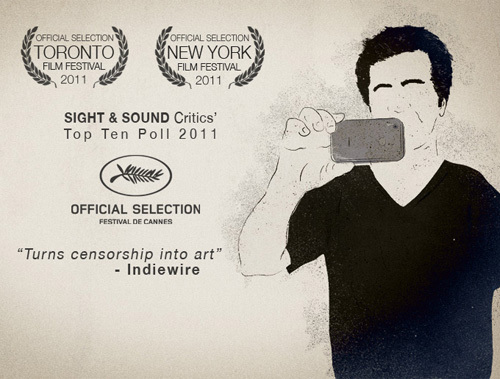 Prize-winning Iranian director Jafar Panahi contemplates his own pending jail time in this documentary study of his pensive pre-prison life, as he waits to hear from his lawyer. It would take a lot of courage for a man in his shoes to even venture out of his apartment, but Panahi works up the courage to do so, and then finds a story right outside his door unlike any other. Young-Chan has no sight and very little hearing; he is effectively deaf-blind. Soon-Ho, his wife, is dwarfed and partially crippled by a spine disorder. How do they live? Surprisingly, very well. They help each other through the mundane chores of the day (a struggle to change a light bulb becomes an epic almost on the order of the Iliad), and they stay tuned to their shared sensuality. One of the finest documentaries to come out of South Korea in years.